July is not just a time for travel and adventure but a time for changes in your work, life, and living space. 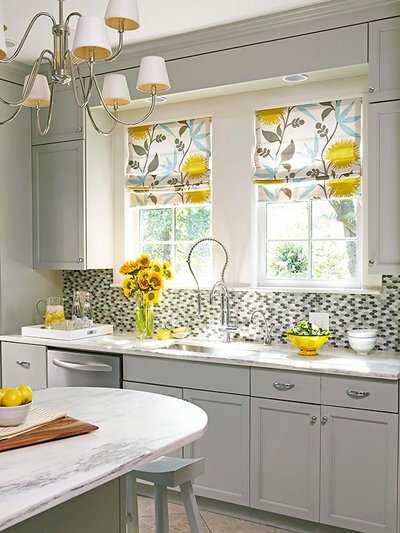 Check out the following kitchen makeovers you can try this summer – simple yet effective! A major part of a kitchen, cabinets when repainted will significantly change the look of your kitchen without costing as much as a full-scale renovation. 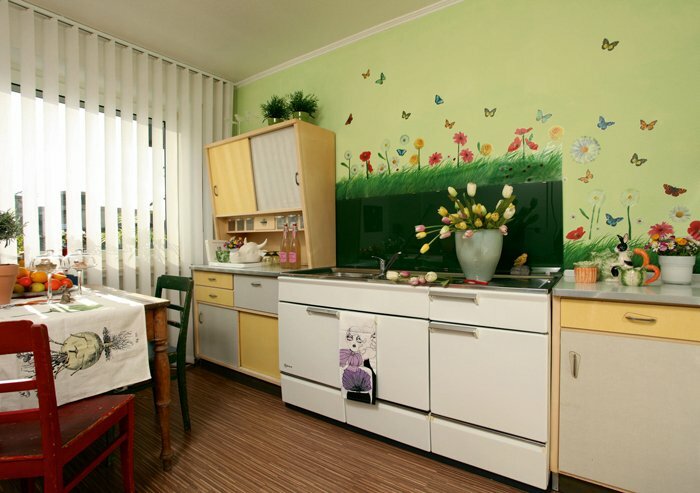 Repainting is especially advisable when your cabinets are still in a good condition. But, how to choose a good paint color? 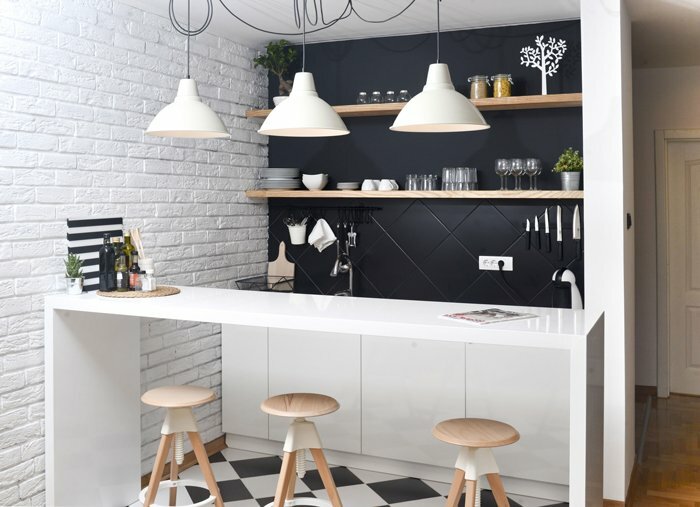 According to many interior professionals, you should choose the one that matches the color of your walls or countertop. You then can accentuate your cabinetry by applying different shades of the same color family to base cabinet, wall cabinet, and tall cabinet. Still no idea about which color to choose? Trendy colors of 2017 such as grey, black, and green may be another good starting point. Before starting to repaint your cabinets, however, do not forget to remove door hardware, since paint can affect its functionality. Cleaning and sanding the surface is also necessary before painting to guarantee paint quality. Decluttering and rearranging things around your kitchen is yet another simple trick to refresh its look. In fact, with a wide selection of clever fittings, you will effectively store everything from cookware, tableware to spice jars. 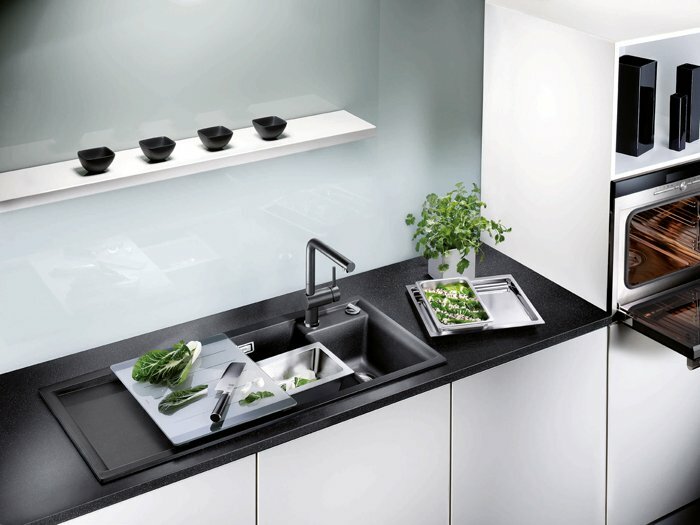 Even better, the sleek fittings such as pulls-out and railing systems will be an impressive touch to your kitchen. Given faucets are one of the most-used items in the kitchen, a new faucet will improve not just the look of you kitchen but its functionality as well. You will easily find a new faucet that fits your taste, demands, and budget from modern faucets that come in different designs (contemporary, classic…), finishes (brass, stainless steel, granite, chrome), and operation methods (pull-out hand spray or not). In case you do not have much time and energy to spare, try small changes such as replacing the window curtain, placing plant pots on the window sill, hanging a chalkboard on the wall for noting down daily menus, grocery lists or just a funny or inspiring quote about cooking, … They may be trivial but the changes, once done, will immensely brighten your mood while in the kitchen!